Since war, gluttony and greed of our economical dimension created it, respect, temperance and faith alone will not be able to solve it, because they "act on the same dimension". Another great blog entry, Mitch. And, other than my daughter's and my own, I generally don't read other people's blogs. But you are irresistible. 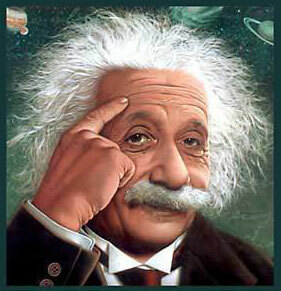 My favorite Einstein quote is "Imagination is more important than knowledge. Knowledge is limited. Imagination encircles the globe." 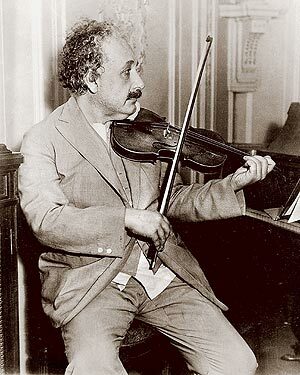 Thanks for the great info on Einstein. As I look at my desk I notice I have a card with one of his quotes on it, "In the middle of difficulty lies opportunity." My favorite from up above is, "If you can't explain it simply, you don't understand it well enough." It speaks to some of the work that I have done in the technology sector althought I don't have a technology background. I take the information that is given to me and look for ways to break it down into simple things that I already understand. That makes sense. Much better than the carrot/stick, reward/punishment, if--then approach. "The only reason for time is so that everything doesn't happen at once." - for its ironic sense of humor! .... I think it is self explanatory.
" what really interests me is whether God had any choicr in the creation of this world " AND - " the only reason for time is so that everything doesn't happen at once " , - But is this quote really true or is it, " everything does happen at once, - in this time called now "